Russian skaters Evgenia Tarasova and Vladimir Morozov took the silver with 228.47 points followed by compatriots Alexander Enbert and Natalia Zabiiako with 217.98. 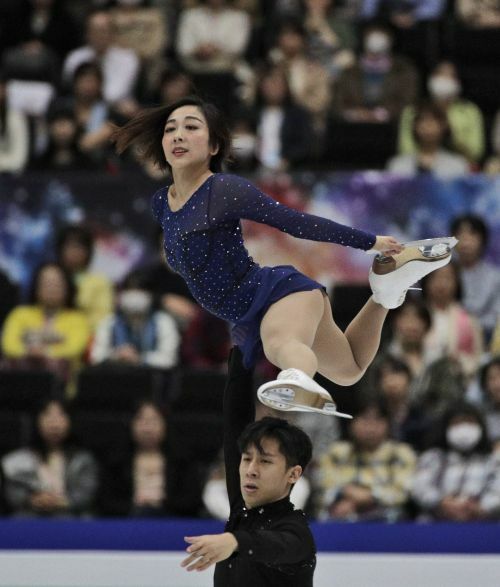 China's Peng Cheng and Jin Yang came fourth in 215.84. The men's short program is later Thursday. Two-time Olympic champion Yuzuru Hanyu of Japan seeks a third world title beginning with the short program.